Many of you use Facebook but miss out on our posts in your newsfeed. You’ve been asking me why you can’t see some of my updates on the site. Facebook made some changes to its design a few years ago. These changes affected it so that you really only see pages that you interact with. (like, respond, share, and so on). You guys have been telling me that you’re missing out on all of the free samples because you can’t see our updates anywhere (including the actual Facebook pages themselves). Well, I’ve discovered a fix via this simple Facebook procedure that should take care of everything. 1. Click here to visit our Facebook page. Make sure you like us if you haven’t already. 3. 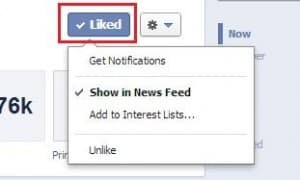 After that, click the “Get Notifications” button. 4. Done! A check will show up next to “Get Notifications” to confirm that you’ve done everything correctly. 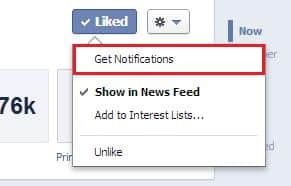 You should receive a notification whenever we post a new freebie. No more lack of visibility!